← Pune day 5. Me and my ginger tea. Up to now I have been following all the sanitary advices I got from my most Indian “experienced” friends. This means that the only unforseen culinary event has been eating the buffet prepared for us by the staff that we are training here in the office. This is only a small part of all the food they prepared for us. 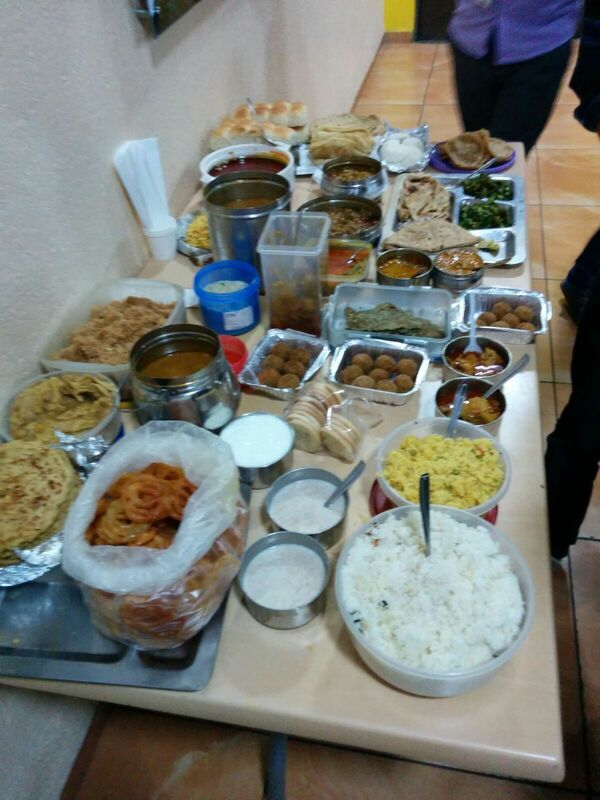 4 different curries, 3 different breads, 2 different rices, a chicken biryani, peas and paneer, and 4 different sweet dishes. The obvious funny thing is being told a dish “is not spicy” and then finding it spicy for my European tastes. 🙂 it is an obvious difference in degrees of spiciness in different areas of the planet. This entry was posted in Uncategorized and tagged India, pune. Bookmark the permalink. Just to let you know that someone still read blogs.